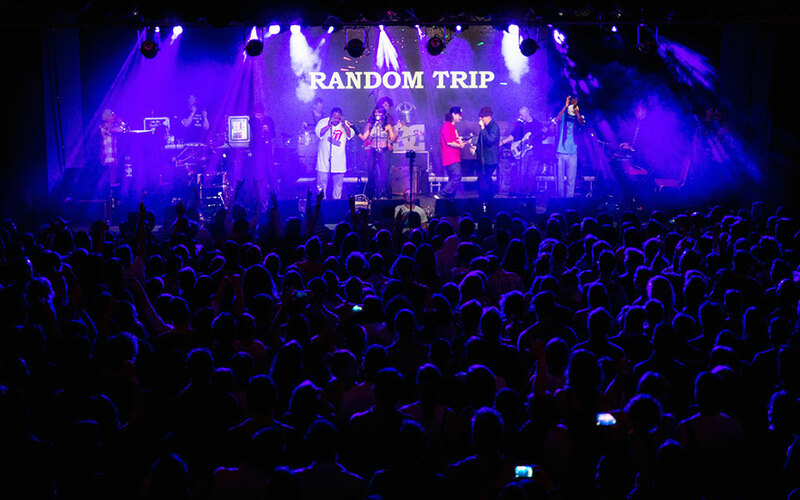 Random Trip is one of the most exciting weekly projects in the Budapest music scene happening on every Tuesday on the A38 Ship. 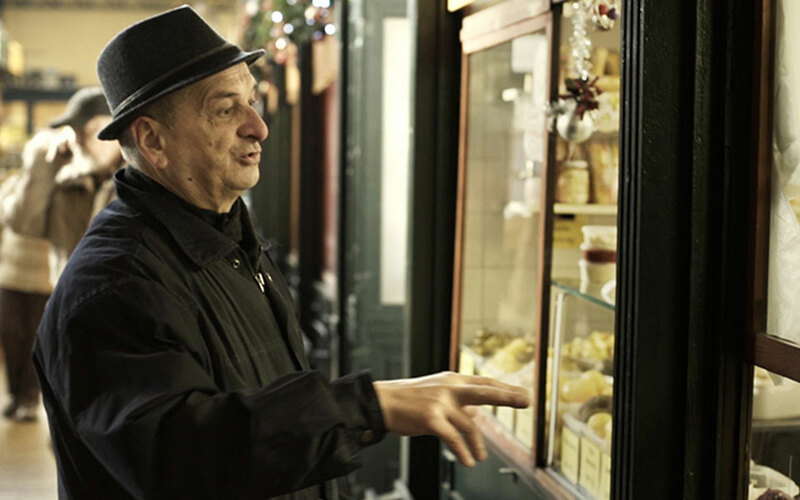 With a different lineup each week, Random Trip offers a great way to explore what the Hungarian musicians are up to. 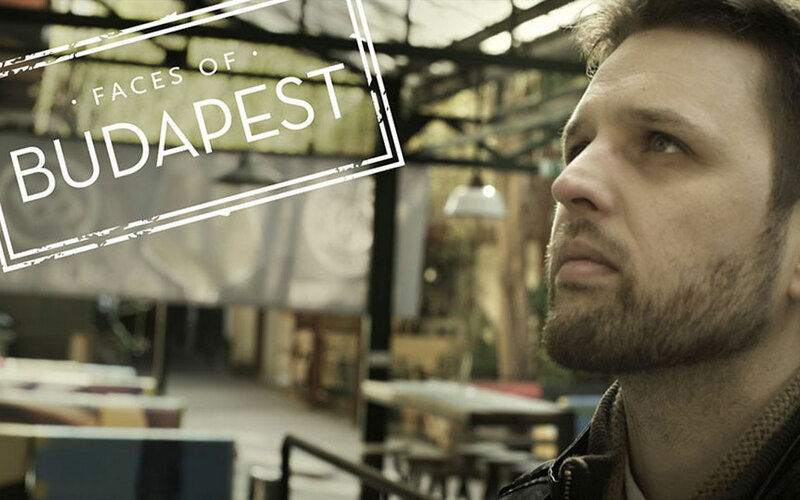 Watch our video about this truly unique happening and read our interview with Jávor Delov, founder of Random Trip, to learn more about the project, Jávor’s music career, and his favorite places in Budapest. What is the concept behind Random Trip? We started Random Trip five years ago at Instant. Then we moved to A38 but the idea is still the same: we invite musicians from different genres of music and then we come up with the concept for that specific night on stage. So there is no rehearsal, except for trying out the sound before the concert. Actually, sometimes if a concert turns out to be a great success, people start questioning if it was improvisation, indeed. I would think it’s not something that any musician could do. You need to be brave and open to various styles of music and even to styles that are very different from yours. You also have to be open to other musicians with whom you might have never played before. Then of course, you have to be professional, too. I think all the musicians who play at Random Trip are great at supporting the singers and rappers so that they can focus on improvising both the music and the lyrics. How do you put together the lineup? I usually ask the musicians whom they want to play with, or I ask them if there is anybody they haven’t played with for a long time. There are some regular musicians, such as singer, bass guitarist István Bata, or keyboardist Mátyás Premecz, so if a lineup works out really well, then of course we invite those musicians again. Who are the musicians of Random Trip? The two main figures are DJ Q-Cee and me on the drums. Over the last five years, we’ve played together with a lot of Hungarian musicians, including Saiid (Akkezdet Phiai), MC Kemon (Irie Maffia), Kama (Mary PopKids), Wolfie (Punnany Massif), Iván Vitáris (Ivan & The Pazarol), Tibi Kiss (Quimby), and Sena. However, lately we’ve also had more and more international musicians, too, such as Zalon (ex-Amy Winehouse Band), Dub FX /AUS/, Peter Legat (Count Basic), Mc SirReal (The Freestylers + Dub Pistols UK), Natalie Williams (Incognito), Vula Malinga & Brendan Reilly (Basement Jaxx, UK), and Valerie M (Groove Armada, The Freestylers UK), just to mention a few. Did you know a lot of the Hungarian musicians from earlier? My class at the Liszt Academy was full of very talented musicians. One of them was the trumpeter Lőrinc Barabás, who wanted to form a band and so he asked me if I was interested in playing in this new band. I said of course especially if a DJ would play in it, too. Then Lőrinc basically gathered the musicians from the Academy and he formed the band called Barabás Lőrinc Eklektric. While I was studying at the Liszt Academy, I also spent a year in Manchester but when I came back, I had to retake that year in Budapest because I didn’t have my folk music credits. So I continued my studies in another class, which however, was also full of incredibly great musicians. 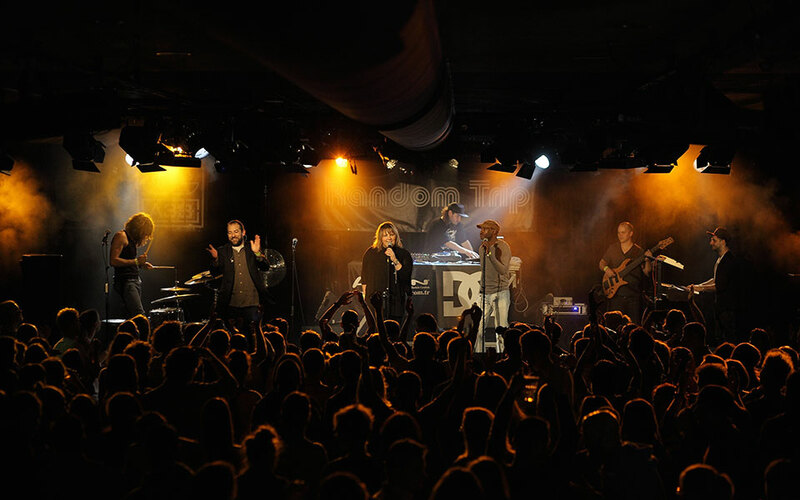 In 2010, Eklektric dissolved and since then, almost all the musicians have started their own projects: Sena is now the singer of Irie Maffia and she also has her own band, Juli Fábián teamed up with Zoohacker, Mátyás Premecz founded Kéknyúl, DJ Q-Cee joined me at Random Trip, István Bata plays with Mátyás in Sena’s Band, but he also plays in Juli’s band along with Mátyás and me. But actually Random Trip is the place where everybody gets to play with everybody. Each week, you bring musicians together who represent various styles. Have you always been this open to different genres of music? I was exposed to music very early on. I went to Zoltán Kodály Primary Music School, where I sang in the choir and I also learned to play the piano, although that didn’t go very well because I never practiced enough. Then I also played the xylophone, the vibraphone, and the marimba, which I was very good at. For me, these instruments were like bigger versions of a piano and I could learn new songs in no time. 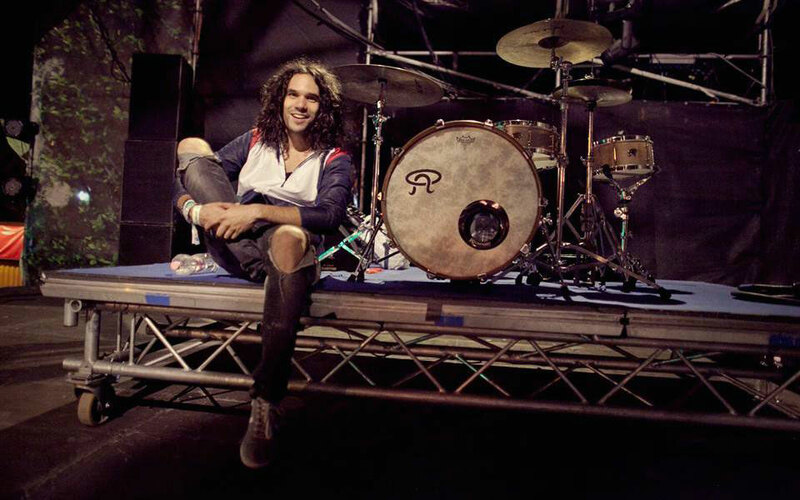 So first I had my background in classical music but when I was about 12 years old, I started listening to pop music and then rock music, and that was also the time when I switched to the drums. Then I became interested in jazz, which led me to black music, then soul, funk, gospel music, etc. So I think I’ve gradually become more and more open to different genres of music. Also, that one year in Manchester at the University of Salford, was one of the most defining years in my life. The school was basically a big melting pot with students from all fields, including musicians, dancers, and sound engineers. The professors were also incredibly qualified; for instance, the jazz big band orchestration professor worked for the BBC and one of the jazz piano professors played with Lisa Stansfield on her tour. But I also had a classmate who told me one day that he wouldn’t be coming to school the next two weeks because he was going to tour with Tina Turner. So the whole experience was very defining. Besides Random Trip, what other projects do you have now? 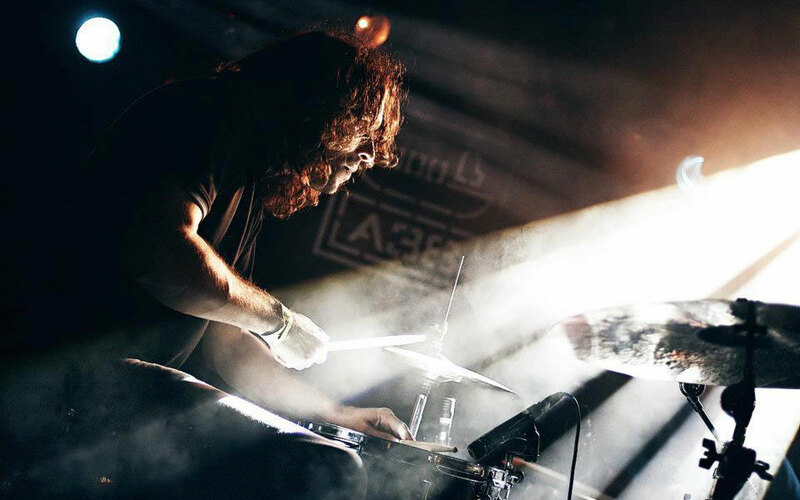 It was around the time when Eklektric was happening that Turbo was looking for a drummer, and so I joined the band and I’ve been playing with them for about six years now. It’s a rock band and we only play songs in English. Then there are two other projects that I’m involved in now, the Fábián Juli & Zoohacker band, and a children’s project with Réka Farkasházi. We’re releasing the third album now and while on the second album, the focus was on the prose with longer stories, on the third album, music has the main role with our own lyrics as well as pieces from contemporary children’s literature. 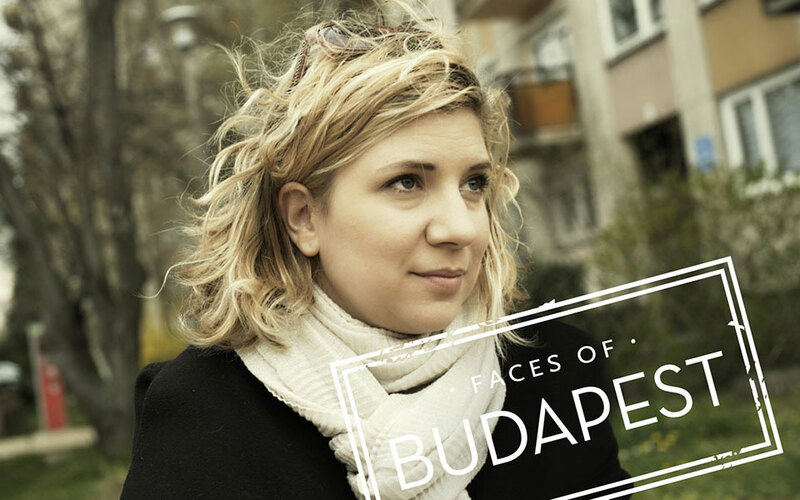 Let’s talk a little bit about Budapest. What are you favorite clubs, bars, and restaurants in the city that you would also recommend to visitors? I would definitely recommend Instant. Of course it is a very special place for me because that’s where Random Trip all started. But it’s also one of the best ruin pubs in the city as it’s in a typical Budapest apartment building that you can explore while partying in three different rooms and having drinks at one of the bars. Then I really like Illegál on Kazinczy Street, which is one of the cheapest and yet friendliest places. As for eating out, I would absolutely recommend Alessio on Pasaréti Way, which is specialized in fish dishes but they also have excellent Italian pizzas. Another Italian place for great pizza is Da Lello. I often take out foreign musicians for dinner, for instance, I took Dub FX and Stamina MC to Szegedi Halászcsárda, which is on Belgrád Rakpart between Freedom and Elisabeth Bridges. Their Fisherman’s soup is simply amazing; they prepare the broth in Szeged and then add the fish at the restaurant in Budapest, so it’s made with the authentic recipe from Szeged. Then another place that I really like is Café Kör at the Basilica, where they have a great variety of food. Menza on Liszt Ferenc Square is another favorite restaurant of mine, not only because they serve excellent food, but also because they have a fantastic atmosphere along with the traditional Hungarian top-notch customer service. For fast food, I would recommend a place called Pizza Me and the 3 Testvér Turkish Restaurant bar just across the street from the Gozsdu Court entrance on Király Street. There are also some awesome breakfast places: I love Briós, Panini, and Mimóza where you can also have great soup. Then I would absolutely recommend Coyote on Batthiány Square, Á Table at Mammut, Bambi, and Villa Bagatelle. I think one of the major advantages of the city is that you can always get to a park or other green area in 30 minutes, no matter where you are. So if, let’s say, you’re on Deák Square, you can be at Normafa in about 30 minutes, where by the way, you can have the best strudel ever. This is something that I always missed when I was living in other cities. I also love the Danube and the area around Pozsonyi Street. I think if I moved to the Pest side, I would want to have a place in that area. Please note that Random Trip doesn’t have any upcoming shows at the moment.